Recently I joined a personal photography project called the Public Breastfeeding Awareness Project. This project was started by my friend and fellow photographer, Leilani Rogers, and there are dozens of photographers all over the country involved this year, photographing beautiful mamas and babies in their real life breastfeeding relationships. To read a bit about why Leilani started the project, visit her blog here. I wanted to write a little bit about why I joined the project, why it struck a chord in me, and how I got started on my breastfeeding journey. As I sit here on the front porch listening to the rain fall, I am surrounded by my three children. My daughter, sensing that I am trying to do something, inevitably stops reaching off the porch for raindrops to make a request: “Nurrrr!” That’s her not-so-subtle way of reminding me that I am hers, and she wants. At 20-months-old, she is actually my longest nursing baby so far, and despite the fact that she eats three meals a day like the rest of us, she is not giving me any hint that she wants to stop. Both my boys stopped nursing on their own, at 14 months and 18 months respectively, and I didn’t try very hard to discourage them from weaning. When I started breastfeeding my first baby, Noah, it was a tough job. He was born with a disorder of his colon, and he spent 7 days in the NICU being stomach suctioned from a tube in his nose and fed through an IV. There was a lovely lactation consultant at the children’s hospital where he was admitted, and I honestly believe that without meeting her I would have quit breastfeeding in that first week, and Noah, if not all three of them, would have been bottle-fed with formula. I surely would have missed out on giving Noah what I believe was the best food and best medicine for him at the time when he sorely needed it. But I kept going, despite how hard it was, because of a woman whose name I don’t know. I’d like to thank her, and maybe tell her this story, but I don’t know if there’s any way I could ever find her without calling around and sounding like a crazy person (“Hi, a woman used to work there as an LC 6 years ago and I don’t know if she still does, and I don’t know her name, but I’d like to get her contact information please?”), but maybe someday I will try so that I can say thank you. What a beautiful thing to say to a frustrated, tired, stressed, scared new mama. What a gift she gave me! And so with a renewed mind (for the moment), I kept going. We had other struggles, but he came home at 7 days old, and after the first month of working my tail off to establish my milk supply and keep my hungry baby fed (nursing him constantly), we settled into a routine. We made it through two other hospitalizations, his surgery to repair his colon, me going back to work full time, several bouts of mastitis and probably more that my fuzzy memory has kindly blocked out for me. We made it to the other side, to the place where it was easy and NORMAL for us to breastfeed. From that background, my feelings about breastfeeding have slowly evolved. When I had Noah, I wanted to breastfeed him because I was told that it was the best thing for my baby, and my husband and I both liked the fact that it was free and readily available. How could we not use it when it’s free, and it’s the most gentle food for our sick baby? It was a great reason to nurse him. But looking back on it now, I know that Noah was nursed in spite of this or that. In spite of our struggles, in spite of the lack of support, in spite of some really bad advice I received along the way (that I didn’t know was bad advice at the time!). Now I believe that women are majorly lacking support for breastfeeding, and some of our doctors and mothers and neighbors and friends are giving us well-meaning but wrong advice about how and when and why to breastfeed, and how and when and why to stop breastfeeding. I believe that we need to push against this wrong advice with love and support, with patient and respectful dialogue, with women supporting other women (such as in groups like the La Leche League), with our words and our actions and our example. Without the support I received, I would have listened to the wrong advice, and it would have been one more barrier between us reaching our new normal. I believe there is a struggling mama out there who needs to see me breastfeeding my baby, without embarrassment or fear, without hiding or covering, because that simple glance in my direction could be the push that helps her hold on to her breastfeeding relationship for one more day even though there are so. many. hurdles. So much can be said about the controversies of breastfeeding, but this project was about one controversy in particular – breastfeeding in public. The project resonated with me because I have evolved into a breastfeeder who does not cover up in public. I do not go into another room; I do not hide. I have never encountered an objection to my breastfeeding any of my children so far, and I hope I never do. I hope that all I ever see is support. But we’ve all heard stories of women being asked to cover, of moms being asked to leave, of moms being removed from airplanes or told to nurse in the bathroom or having snide comments made behind their backs or to their faces. So here’s why I don’t cover up. I’m not trying to seek attention or cause a public nuisance with my breastfeeding, but I am aware that someone, somewhere, may be bothered by it. But the simple fact is, sometimes we need to be bothered, with the hope that in the future, no one will think twice about seeing something good and right and normal, something that should be a common sight in every restaurant, store, or home where mothers are found. When naturally curious children (or others) have questions, I answer simply and calmly, “I’m feeding the baby. This is how she gets milk.” No big deal, nothing to hide, no reason to be embarrassed or upset. In the state of Ohio, we are legally allowed to breastfeed our children wherever we are legally allowed to visit. If I have a right to be at the grocery store/library/park/restaurant, I have a legal right to breastfeed there. When I became involved in this project, I knew that I would have to call and ask permission from owners so that I could photograph moms and babies breastfeeding at their businesses. I made it clear that I was asking permission to photograph there – I was not asking permission for moms to nurse there – a subtle but important distinction. To follow the Public Breastfeeding Awareness Project, you can view the images during World Breastfeeding Week (August 1st through August 7th) at the following links, and I will also be posting images from the project here on the blog later in the week. I will be sharing images I photographed for the project, as well as my favorite images from other photographers participating in the project. 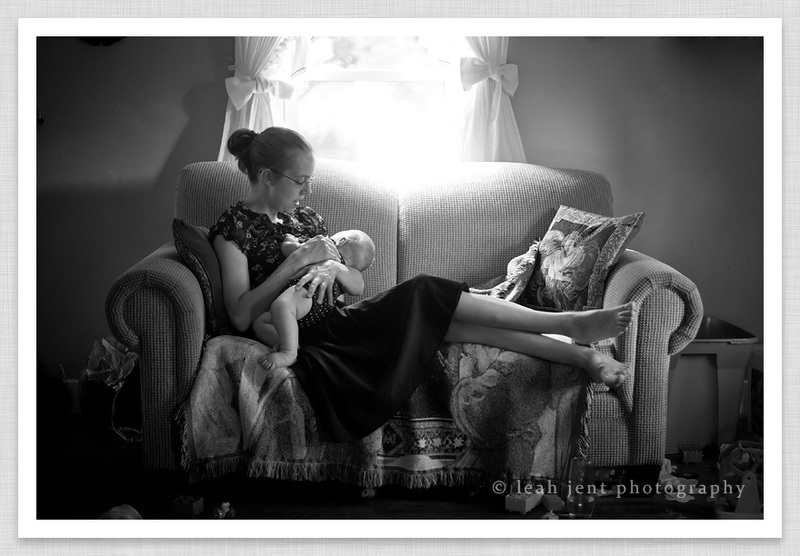 I will also be sharing some of my personal images from me and my children and our breastfeeding journey over the years. Please feel free to follow my Facebook page and to tag or share my images with your friends. You can also follow the “bigger picture” of the project on different social media with the hashtag #PBAP2014 (PBAP stands for Public Breastfeeding Awareness Project). Please join me in showing support for nursing mothers here and everywhere. Nurse on, Mamas! Me and my Claire nursing at her grandparents’ house, summer 2013. Previous PostPublic Breastfeeding Awareness Project | Thank You!